The original office of pediatric dentists Dr. Sarah Hill and Dr. Joseph Stout is located in Oak Harbor, WA on Whidbey Island. In March 2016, we added a beautiful new facility in Anacortes, WA in Skagit County. We specialize in treating infants, children and teenagers; our goal is to work with your child in our gentle and educational environment to help them maintain a beautiful and healthy smile for their lifetime. Drs. Hill and Stout, along with their dedicated and highly trained staff, are committed to making your child’s visit to the dentist as comfortable, supportive and stress-free as possible. 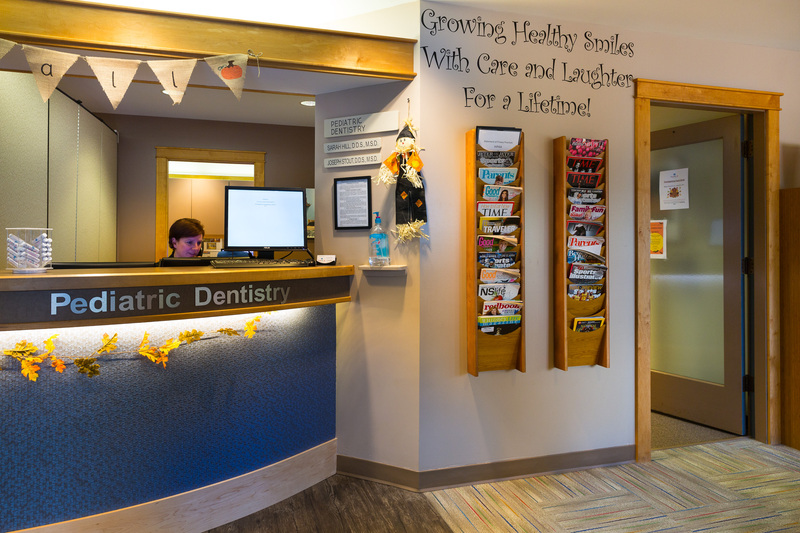 For more than 20 years, Playhouse Dental has been a trusted pediatric dental care provider and resource for families throughout Island and Skagit Counties.